Over last Sunday night's dinner at Gato (highly recommended), one friend suggested we spend Labor Day Monday driving around eating at different places throughout NYC. Such a fantastic idea. Our food tour started off with Thai in Queens, and ended with dessert in Boerum Hill. 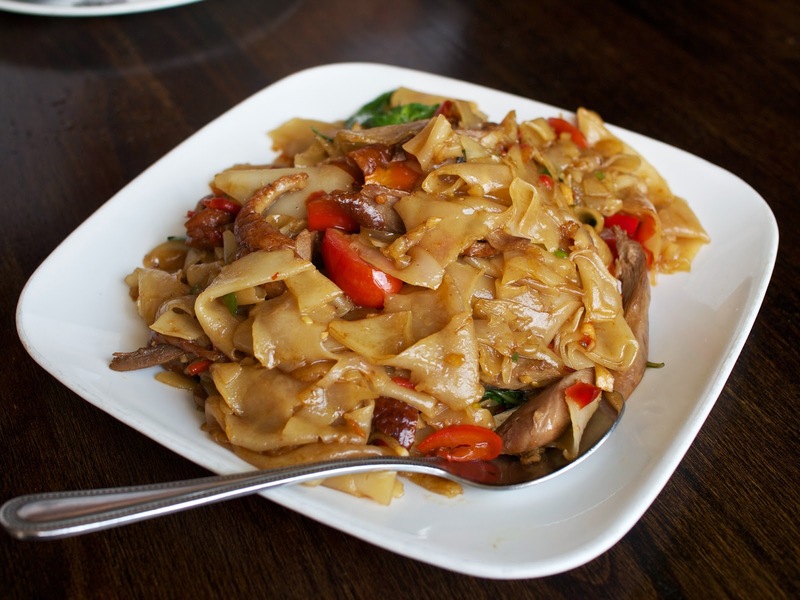 We began with lunch at SriPraPhai, a restaurant that a previous co-worker of mine used to rave about all the time. He lives in Queens/the borough for a wide variety of ethnic eats, and I totally trust his taste. 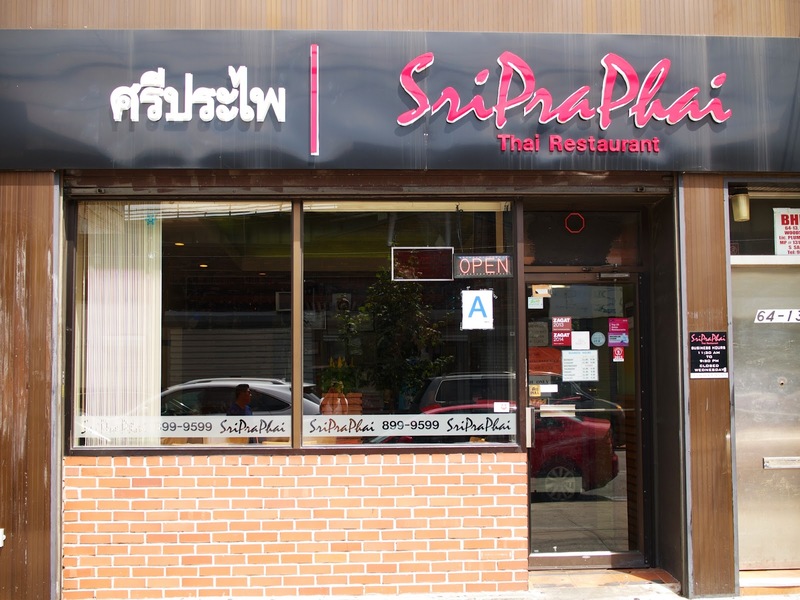 SriPraPhai is now my new favorite Thai restaurant in New York. Prices are incredibly reasonable, there are a ton of dishes to choose from (we kept saying to each other "what about the noodles on page 5? Or the meat on 6? "), and best of all, most dishes cost around $10. The restaurant is known to have really long waits during prime meal times. Since we were there on a holiday and right when it opened for lunch, we got seated right away. Duck may seem like a strange choice, but I know now to usually trust the bf when he orders food (he tends to choose the better items every single time we go out to eat). Anyway, soft, spicy noodles turned out to be the best complement to the tender and fatty duck pieces. Yum. 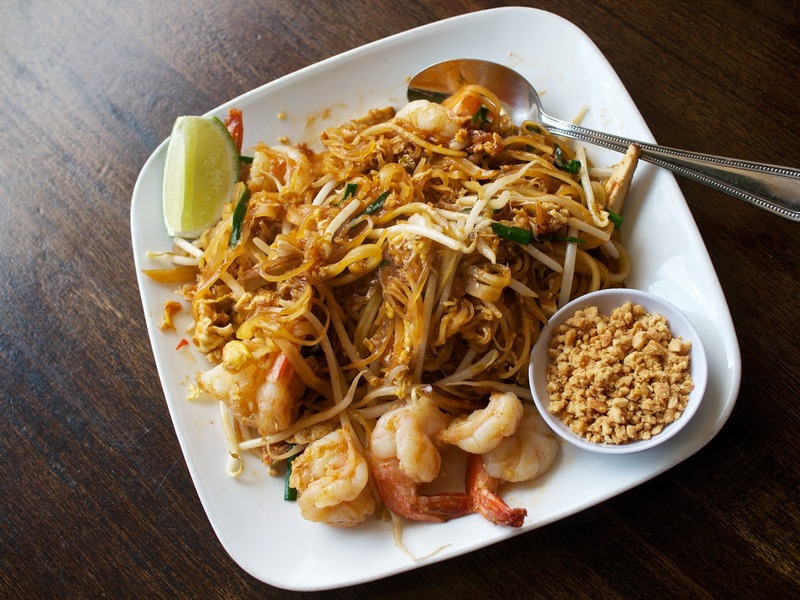 This pad thai was quite good-- especially the crunchy pieces of papaya and peanuts, but the dish was too sweet overall. 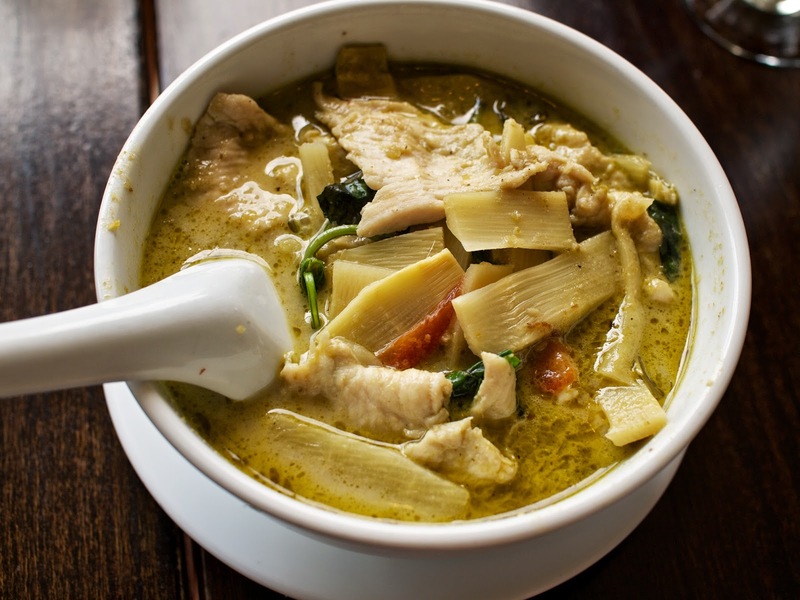 Green curry is my absolute favorite dish to order at Thai restaurants. Sweet Basil in Hong Kong does it best, but this was a close second. Really tender chicken, a perfect tangy flavor, but unfortunately just a little too watery. Also, make sure to order the coconut rice to go with this curry. Delicious! 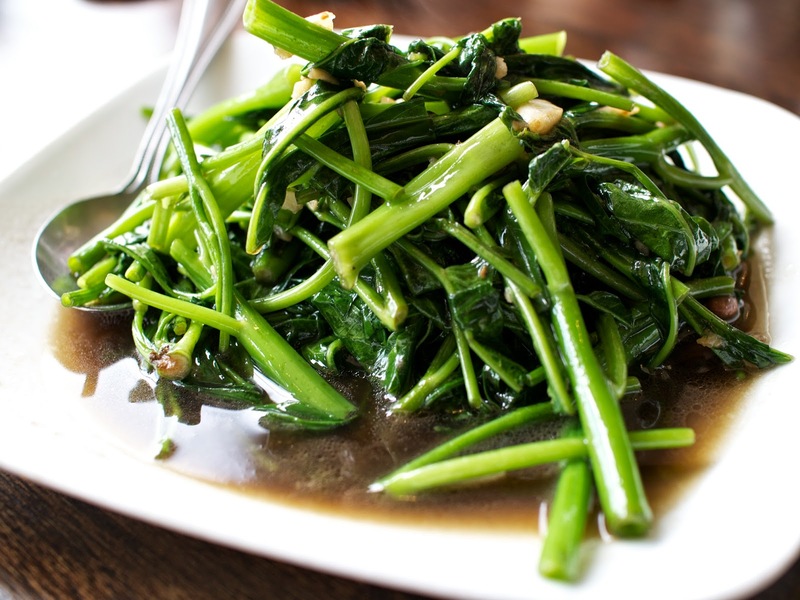 Chinese vegetables are so good, especially when prepared simply-- just some oil and a pan. Luckily for our group, this was a very generous portion and there was plenty to go around. Also, we didn't go to the back of the restaurant, but I read that SriPraPhai does have a backyard/garden seating with a nice fountain. I would definitely want to check this out when it gets a bit cooler.